"Somehow we've got to continue that way," he tells his wife, Amy, who stares into his face without reply. But then O'Rourke adds, "Maybe we did what we were supposed to do. So maybe that's it," to which his wife nods. The scene concludes "Running with Beto," a documentary that premiered Saturday at the South by Southwest Film Festival in Austin about the former congressman's failed attempt last November to become the first Democrat to win statewide office in deeply conservative Texas in 25 years. But those same questions continue to swirl around a possible O'Rourke 2020 presidential run that may yet grow out of that defeat. 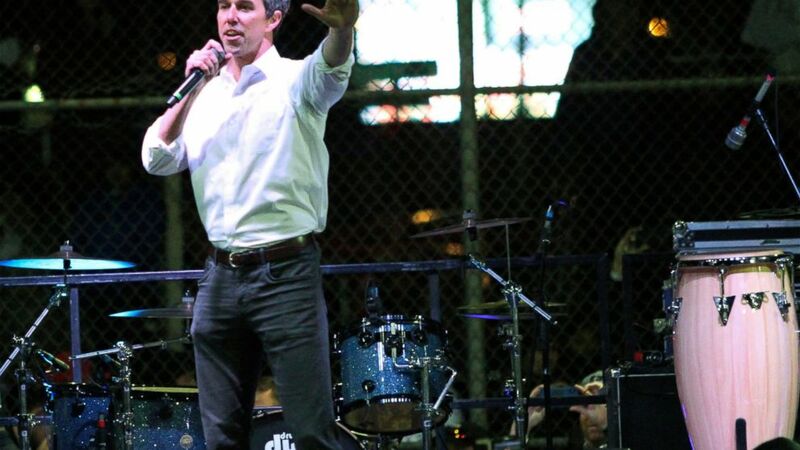 The movie will air on HBO this Spring and illustrates how O'Rourke rose from a virtual unknown — his first events attracted fewer than a dozen attendees, while his early Facebook Live sessions don't crack double digit viewers — to a national Democratic star. Filming ended before 2020 speculation really ramped up. O'Rourke now says he's decided on whether or not he'll seek the White House, but he won't say how or when he'll let everyone know, promising only that it will be soon. Attending the premiere with his wife, Amy, and young daughter, Molly, O'Rourke dodged an audience member's 2020 question, and he provided no new details about his future plans in briefly answering reporters' afterward. He was more open about what he called a happy but visceral reaction to watching his campaign staff and top organizers and volunteers on screen. "To see the movie and seeing everybody again, it was very emotional, very, like, physically it was just running through me and Amy and Molly," O'Rourke said. The documentary shows O'Rourke being stunned by his loss to Cruz. In one scene, he and Amy are alone in their car watching the election night returns come in, just after visiting a last, closing polling site. Cruz won the race by fewer than three percentage points. "Running with Beto" is unfailingly sympathetic to and positive about its candidate, but it also shows O'Rourke occasionally lashing out at staff members — especially Cynthia Cano, his road manager — for failing to ensure he arrives at events early enough to spend more time with local reporters and for not fully preparing him to "dance" during interviews with members of the national media. Director David Modigliani said the production was independent of O'Rourke's campaign, but that he showed the O'Rourkes an early draft of his movie. O'Rourke asked only partly joking if Modigliani could include one "scene where Cynthia and I are not fighting." Confronted, meanwhile, with her husband's frequent, often cheerful use of the f-word throughout the campaign, Amy wanted to know if the production team could "cut some expletives."